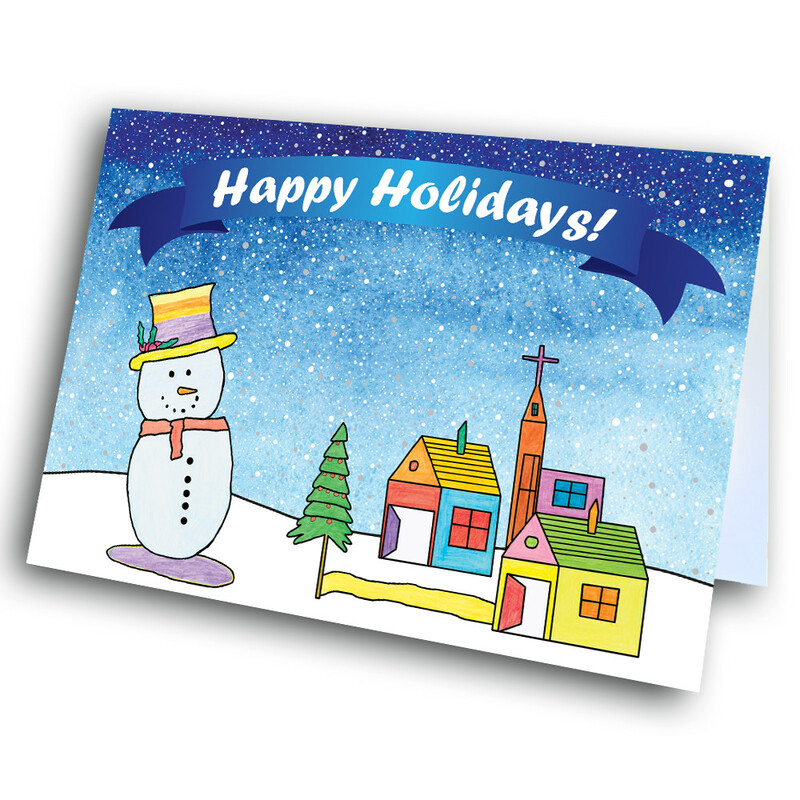 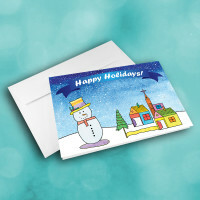 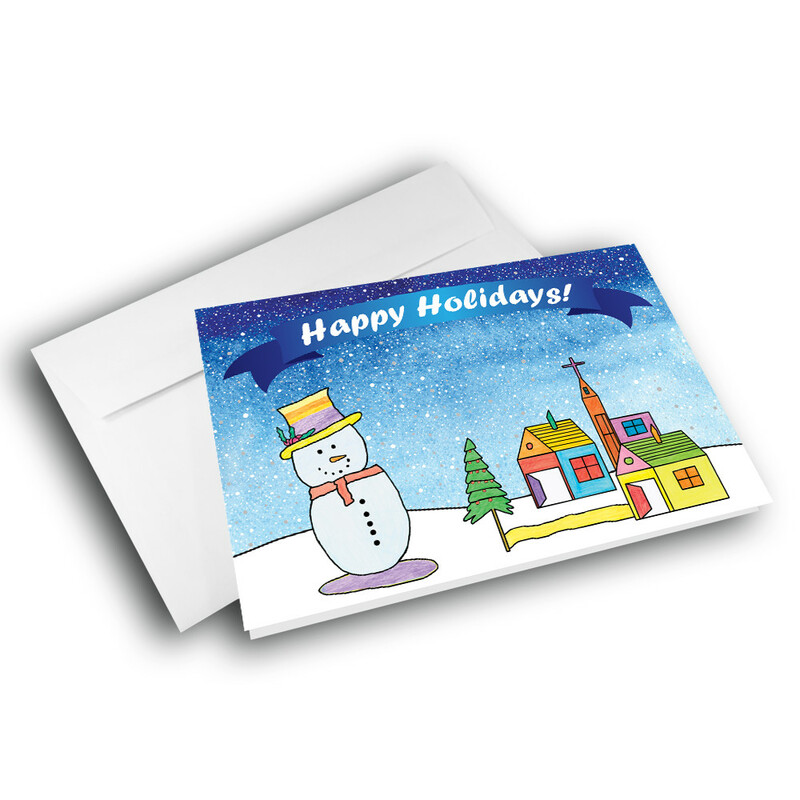 Have a cheery snowman wishing you "Happy Holidays" with this adorable snowman holiday card. This is the perfect card to send, to bring a smile to whoever recieves it. 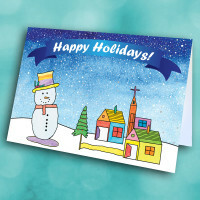 Set in front of a beautiful starry night sky, a friendly, adorable snowman smiles out at you, next to a quaint little town. 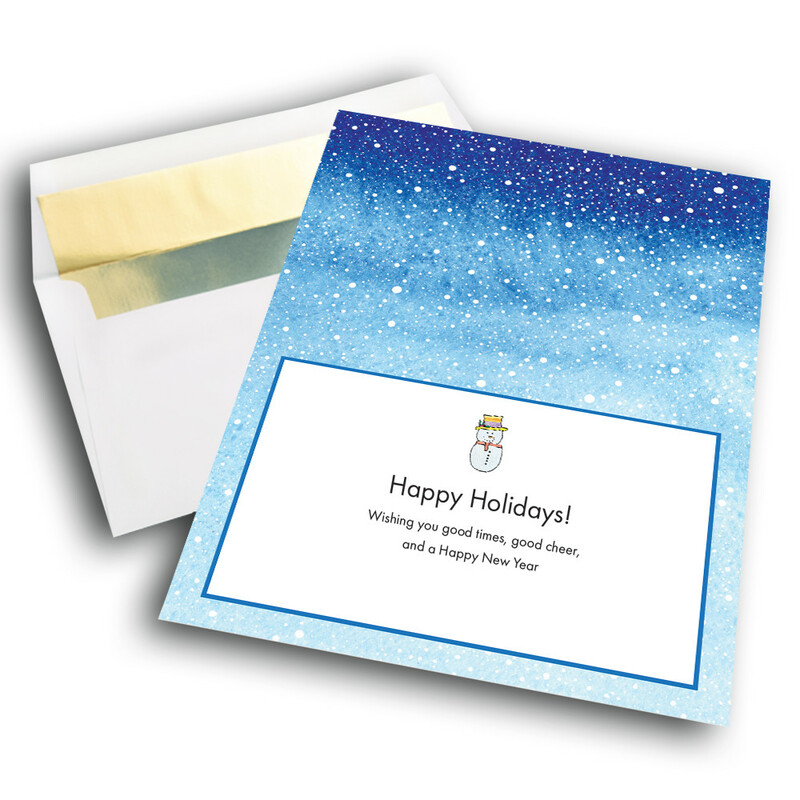 The inside features the same gorgeous, starry, snowy sky, as well as a simple but warm message. 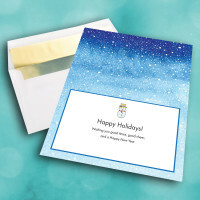 This message can also be personalized to give the card a personal touch.